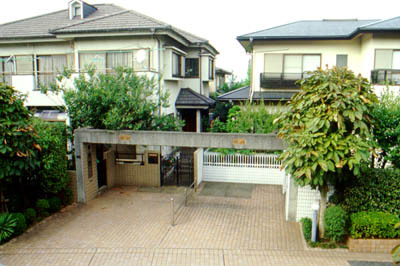 Dakahata Gazimadai Garden 54 is a detached housing site which is located at Minamidaira, Hino City, Tokyo Metropolitan Area, Japan. 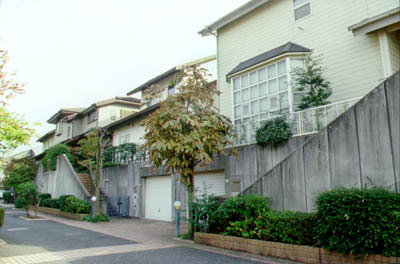 The site is part of a large housing area which has been developed at the northern side of a hill. 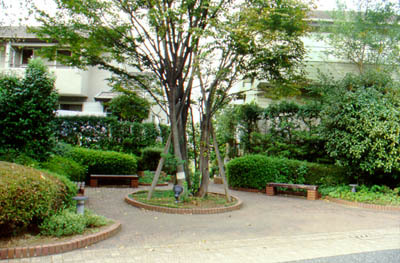 It was developed with a land area of 22,016m2 and 54 lot units in 1984. 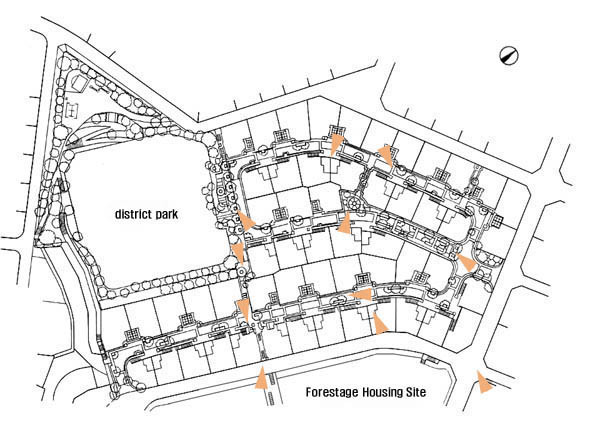 The average area of the lot unit is 213m2. 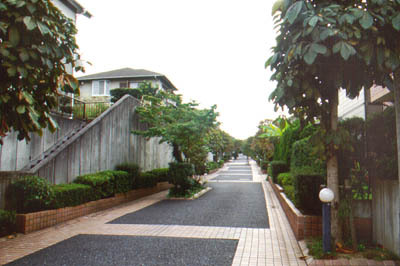 The environment of the site has been enriched by the landscape with various design along roads and lots. 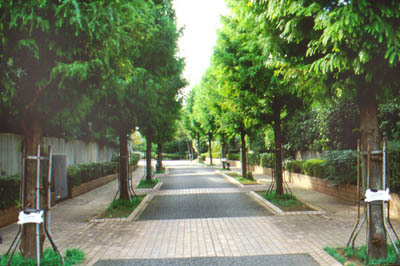 The central spine road is naturally divided into pedestrian and vehicle paths by two rows of trees and pavement pattern. 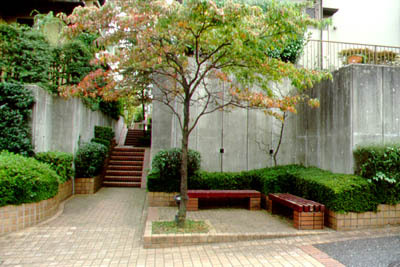 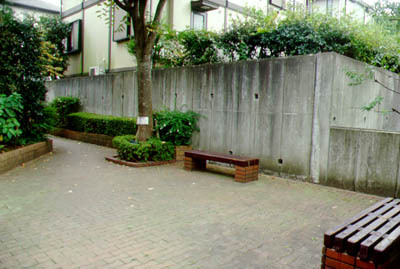 The sparsely dotted small open spaces with sitting places are linked by pedestrian movement system. 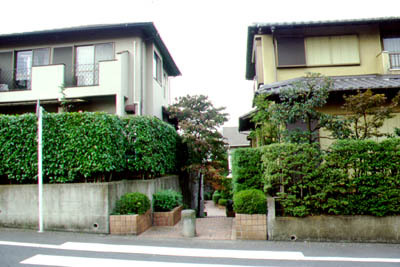 The site has taken advantage of given topographical condition, so the level of private yards are different. 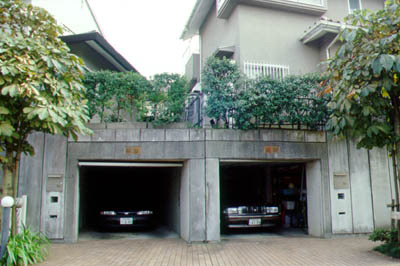 The private yards, at the southeastern rows of lots from roads, are on the pairs of garages which are at the road level. 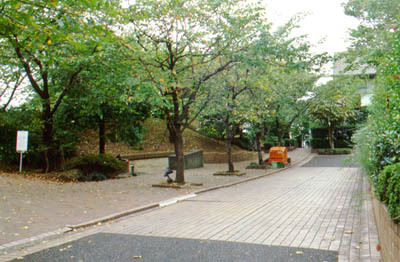 This difference of the lot level defines roads uniquely. 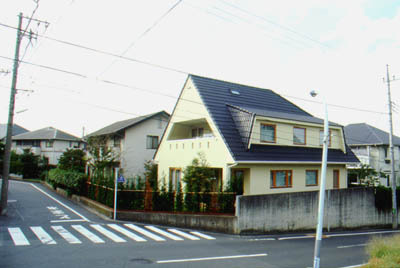 Click the arrows to see images!